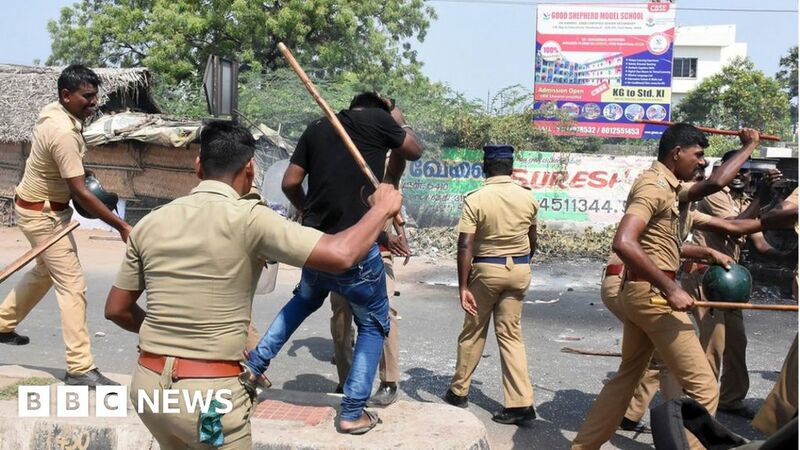 John McDonnell has called for mining firm Vedanta to be delisted from the London Stock Exchange after 13 people died in violent protests outside the firm’s southern Indian copper smelter. John McDonnell said regulators must take action after the “massacre” of protesters this week. The people were killed in clashes when police opened fire on protestors. Residents have been staging protests for months, saying that the smelter is causing environmental damage. India’s Tamil Nadu state – where the copper smelter is based – has said it wants it permanently closed on environmental grounds. But Vedanta has said it plans to continue operations. Mr McDonnell said removing Vedanta from the London Stock Exchange “would prevent further reputational damage to London’s financial markets from this rogue corporation”. Vedanta has been contacted for a response to Mr McDonnell’s comments and the London Stock Exchange declined to comment. Amnesty International said this week that police had “many questions to answer” and “those responsible should be brought to justice”. P. Ramnath, chief executive of Vedanta’s India copper business, said it was not planning to set up a smelter elsewhere. “We’re confident that we will be able to overcome these issues. It will certainly require a huge effort but I am sure we can hope to restart as quickly as possible,” he told Reuters. The company said it was working with authorities to restore power to the plant, which has been offline since late March. Vedanta has previously denied that the smelter has been responsible for air and water pollution. Shares in Vedanta, which is controlled by Indian billionaire Anil Agarwal, fell sharply on Wednesday following the deaths, and on Friday ended the day 0.5% lower at 728p, valuing the company at about £2bn.